I promised to update my experience with these Compass Elk Pass tires after riding them for at least a few hundred miles. Well, I’ve only put about 60 miles on these tires and I’ve already had my first flat. That experience led to some other important realizations about these tires and the Schwalbe tubes I purchased with them from Compass Bicycles, a few months back. To say that I am in a good mood this evening, after walking my bike home (rather than repairing the flat on the road – to be explained later), and then spending nearly two hours attempting to repair my flat rear tire at home would be incorrect. 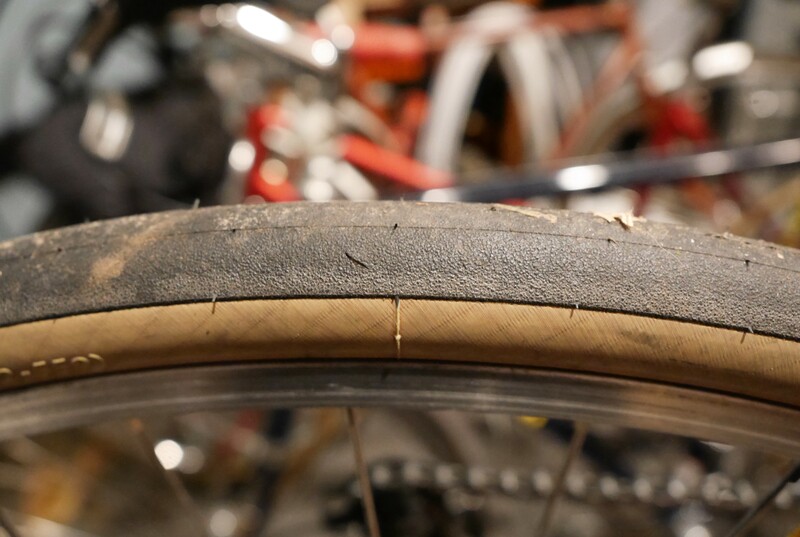 First, though, I’ll talk about how these tires handled out on the road – before the flat. These tires are lightweight – significantly so in comparison to the Pasela’s I had been using. That reduction in weight, and the nature of the tire’s properties led to an enormous increase in my enjoyment of cycling on my Terry, which features 559’s front and rear. The Elk Pass tires are fast and responsive under acceleration. Accordingly, I found myself riding more aggressively than normal (but maybe that’s not such a good thing). They are comfortable tires, and while narrower than their advertised width (32mm vs. actual 28 mm on my rims), the plush ride they provide feels like 38 mm tires or more. The flat I had today occurred on pavement, and without any observed road detritus such as broken glass or thorns. Within seconds of hearing a strange noise while climbing, my rear tire was flat. This fortunately happened while I was cycling at low speed. 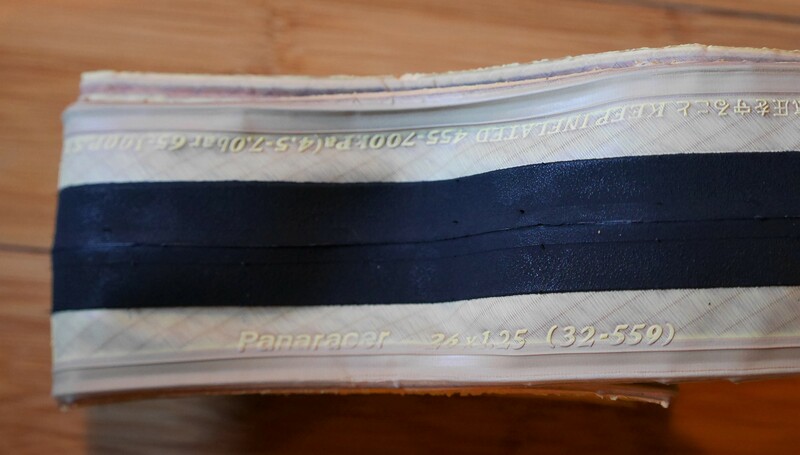 The tire went TOTALLY flat – something that really can’t happen with regular clinchers that have more robust sidewalls. The sidewalls on the Elk Pass tires are so supple that once the tube lost air, the tire had nothing to support it. These tires are very much like a tubular in that respect. Since I was only about a half mile from my house, I tried inflating the tube to see if I could simply coast home before the air made its way out. No luck there. The tube would not hold air at all. So I removed my bags and walked the bike home with the rear wheel elevated, so as not to further damage the delicate sidewalls. Once home, I examined the tire. I couldn’t see any obvious cuts or sidewall cracks. But, that’s not unusual when assessing a bicycle’s flat tire. 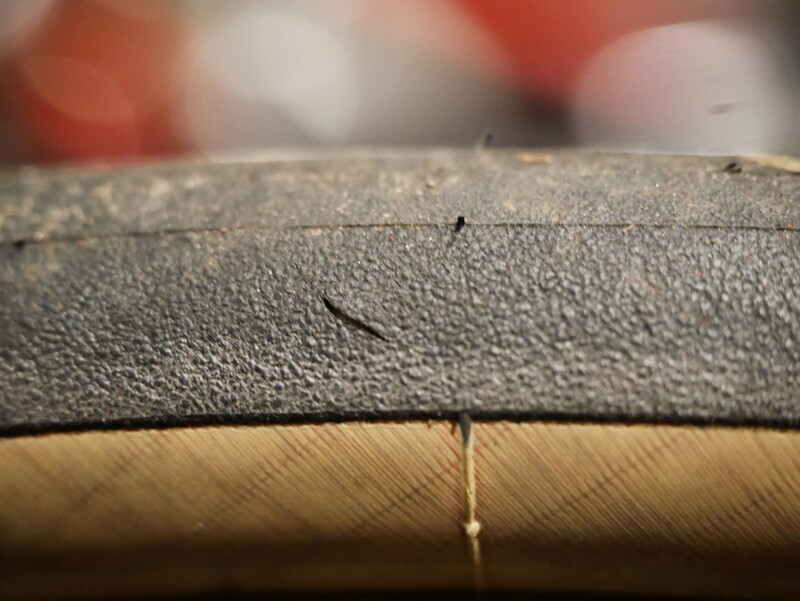 When dealing with flats, I normally unseat one side of the tire’s bead, take out the tube and then inflate the tube to determine where the puncture occurred. That way, I can see where the tire is compromised, and if a projectile needs to be removed. This tube went flat so quickly as I tried to inflate it that I ended up removing the tube from the wheel and closely examining it for the source of the puncture. 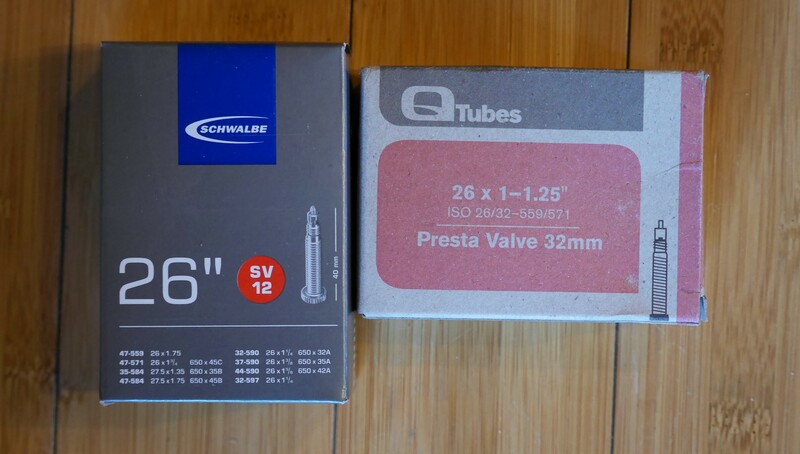 I hadn’t used the tubes that Compass had recommended for these tires – Schwalbe SV12 tubes which are wide and heavy in comparison to the Conti 650c tubes which have worked well for the 559 Paselas I had been using on this bike. Since my existing tubes were good, I re-used them when installing the new Compass Elk Pass tires. Upon close examination, I determined the source of the leak and then searched the tire for that location. 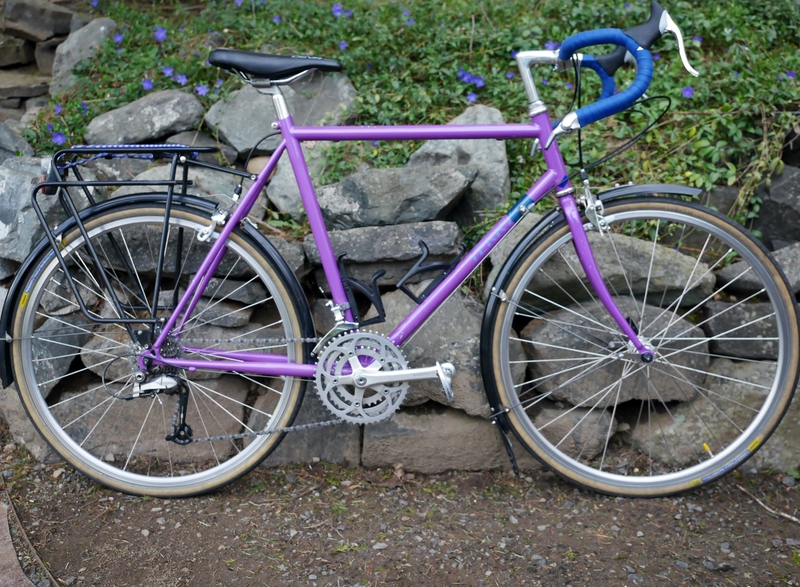 This entry was posted in Bicycle restoration, Bicycle tires, Terry, Terry Bicycles and tagged 559 tires, Compass Elk Pass, Panaracer Pasela, Terry bicycle by Nola Wilken. Bookmark the permalink. Hi Steve, yes indeed I was shipped the wrong tubes for these tire’s! Hi Joe, the tubular experience is definitely an acquired taste. I think if you want to make this bike practical I would recommend clincher rims. From there, many tire options are available and very reliable. Not sure what size wheels you’ve got, but Panasonic is generally a very good choice for a reliable and well performing tire. Chuck the talc – use corn starch instead.